What is a partner shop ? 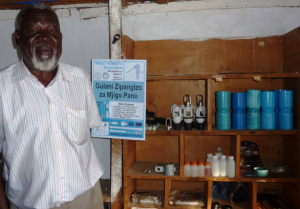 It can be any shop which is clearly identified by the communities, frequented, which is well located in a trading center and for which his owner is ready to support the communities by facilitating access to hand pump spare parts. They agree to collaborate with Inter Aide, BASEDA, TIMMS, and since 2012 with RUWASO who are linking them with main suppliers of Afridev and Malda pumps located in main cities like Lilongwe and Blantyre, and they are reselling (with some profit – around 20% for the fast wearing parts) to any water point users, thus facilitating access even for remote villages. Shops owners are selected also according to their capacities to manage and develop such business. Selection is made with the advises of District Councils and Water Departments. Then, they are trained to have the basic knowledge of the use of spare parts, bust most of all to well manage this activity so that water point users are well oriented and can always find the parts they are looking for. 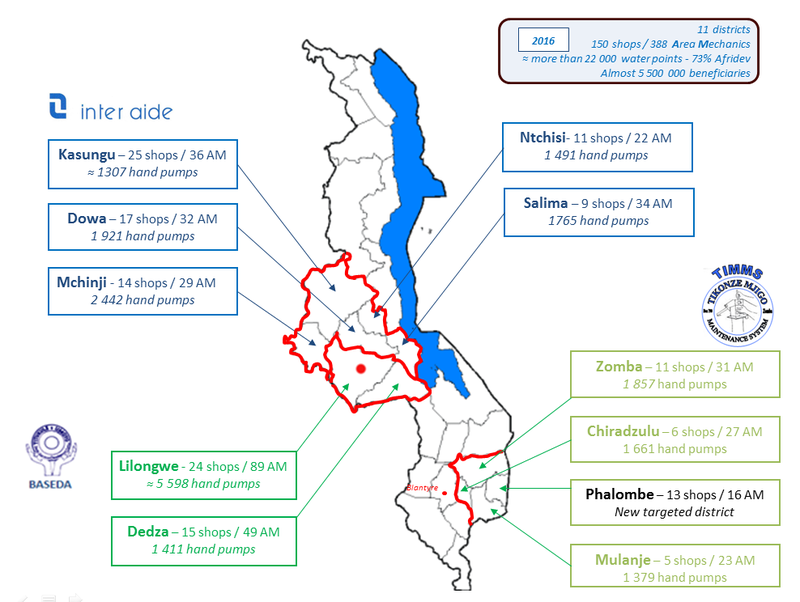 In 2016, there are 150 spare parts retailers in Malawi who have been trained by Inter Aide – BASEDA – TIMMS, see details on the map. This entry was posted in The hand pump maintenance approach on 21st January 2016 by mathieu.